The past two months have been filled with plenty of fun, fun, fun, fun! I know these are a tad late, but that means this post is chocked full of events to report on. 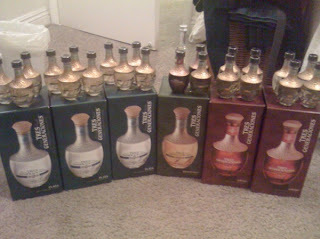 Oscar de la Hoya partnered up with tequila company Tres Generaciones and a huge party was thrown for it. (Note: He checked himself into rehab shortly after -- for substance abuse.) A bunch of work people went and we had a BLAST. Those pink drinks from the video were lethal. They literally tasted like Agua Fresca from Blue Mesa Sunday Brunch... you couldn't taste the tequila. It was amazing. I had six. It was an interesting next day... I've been trying to find the recipe for the Golden Boy Punch, so if anyone finds it, send it to yours truly. Also, I have all this to use sometime in the future. Party at my place? 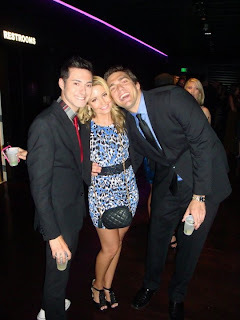 Cole, a new LA transplant and old chum from good ol' Georgetown, invited me as his plus one for this event. 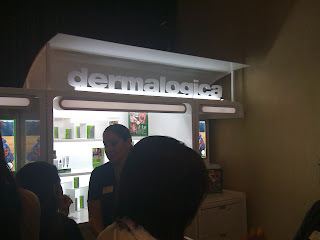 It was at LA Live's Club Nokia and we had a great time... almost a little too great. After checking out the red carpet (and watching Cole swoon over Aimee Teagarden), we went inside to the open bar and hung out with the famous folk -- Garrett Hedlund (taller and even more handsome in person), Armie Hammer (there with his wife), some of the kids for Super 8, and of course, Aimee. We got to talk to her about Georgetown and the surrounding areas, as she is very familiar with central Texas. Cole and I sat on the floor at Giuliana Rancic's guests' table, which obviously was thrilling for myself! My writing gig over at Examiner has gotten me pretty chummy with some awesome beauty brand PR reps, so they invited me to the Beauty Bar to get an airbrush tan by (one of my personal faves) Fake Bake among other things. I walked away with my own tutorial on how to fishtail braid, a beautiful faux glow, and some awesome Fake Bake, Covergirl and Wella products to sample! I loved them all and will write them up on the site soon (I've already written up Wella). 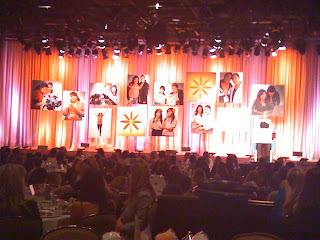 I was invited by Brandlink Communications on behalf of Gilt City to attend this fabulous awards show, for a great cause. The ironic thing about this is that two years ago, the very first event I ever worked in LA was, you guessed it!, the Inspiration Awards. 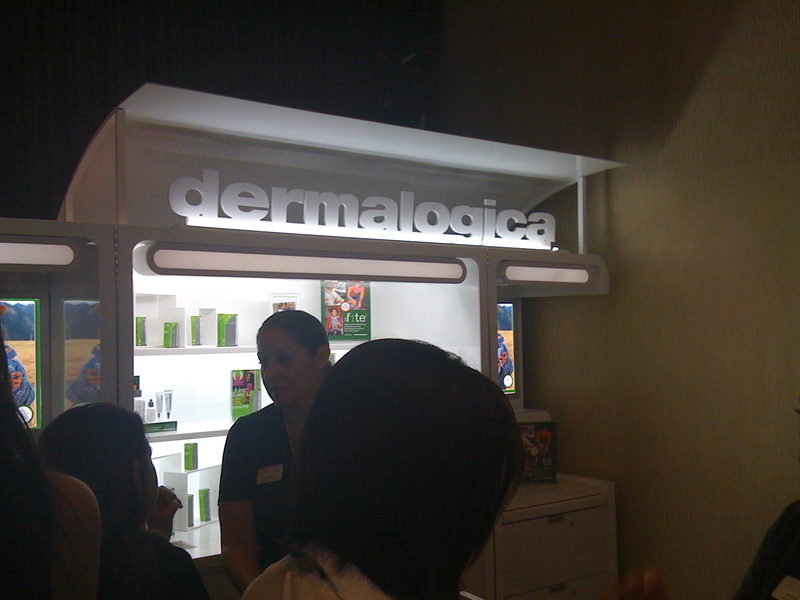 Before I was getting creamer for Larry King and running to Rite Aid to get safety pins for the fashion show, and now I was walking away with goodies from Trina Turk, Gilt City and Dermalogica after eating a fabulous lunch. It came full-circle so quickly! If you're not familiar with SUWN, check them out. They're a really effective network that makes a huge difference in women's lives. Presenters at this event included Busy Phillips and Nikki Reed, with award recipients including Christina Hendricks (Mad Men), Catherine Hardwicke (Twilight director) and Dermalogica (with founder Jane Wurwand). 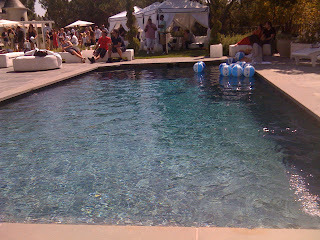 My colleague (and friend) Natalie and I made our way to Bel Air for this awesome pool party on Saturday! Upon arrival, we grubbed on some turkey burgers, enjoyed cocktails by 28Black (a natural acai energy drink) and basked in the sun. Guests enjoyed a live DJ set and mingled amongst Paris Hilton, Jaime King, Rosario Dawson and others, but the belle of the beach ball was Khloe, who revealed the results of Nivea's 2011 Good-bye Cellulite, Hello Bikini! Challenge. 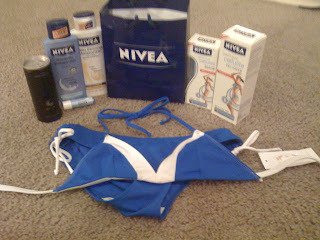 We walked away with Nivea's Good-bye Cellulite fast acting serum & gel cream, along with their Skin Firming Moisturizer and Smooth Sensation lotion for dry skin, A Kiss of Smoothness lip balm and a Shay Todd bikini (which is actually really, really adorable and fits me perfectly)! I can't wait for what other fun events this summer has to offer! I'm so happy with my writing right now and what paths it may take me in the future. I'm so passionate about it and know, one day, I want to make it my (only) full-time job, given right now I'm working full-time and writing part-time (both with the blog and Examiner).